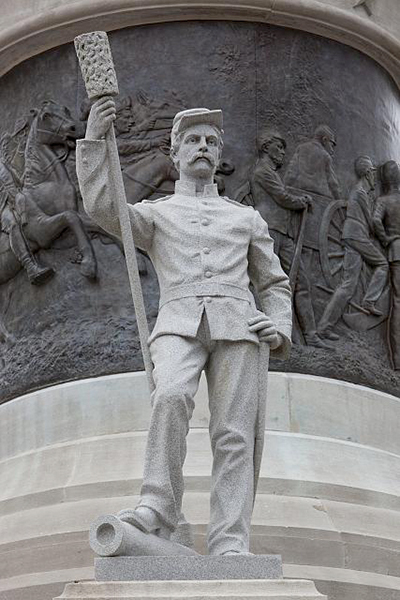 Statuary by Frederick Barnicoat representing the artillery of the Confederacy at the base of the Alabama Confederate Monument on Capitol Hill in Montgomery. "When this historic shaft shall crumbling lie in ages hence, in woman's heart will be, a folded flag, a thrilling page unrolled, a deathless song of Southern chivalry." I.M.P.O.